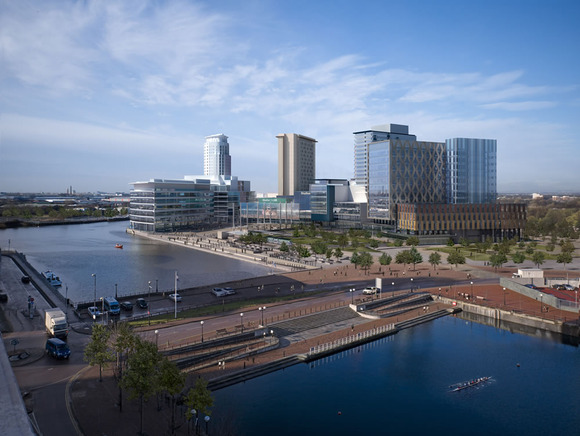 AMSTERDAM, Holland – Studer is supplying two flagship Vista consoles to Peel Media for two large radio studios under construction in the new MediaCityUK complex at Salford Quays in Manchester. One of the Studer Vista consoles will be used in the recording hall for the world renowned BBC Philharmonic Orchestra and strengthens the use of Studer consoles for recording and broadcast of classical music with similar consoles used at Maida Vale, London, Glasgow City Halls and Hoddinott Hall in Cardiff. A second console will be installed in the Multi Purpose Audio Suite (MPAS), which will be used for radio drama, pop music recording and other radio productions requiring a large studio.